Glasses USA offers 55% off on All Frames + Free Shipping via coupon code "dealmoon55". Or, get 30% off sitewide, via coupon code "ENTIRE30". 55% off frames with basic Rx. lenses (Value lens package included for single-vision eyeglasses). Prescriptions with SPH over +3 or below -3 may require a lens package upgrade for adtl. cost. Free shipping for orders in the US and Canada. For glasses with Progressive / Bifocal lenses and Rx. sunglasses, discount applies to frames only. Premium tagged frames and contacts are excluded. Glasses USA offers up to $100 off glasses. $25 off Orders $79+ via coupon code "SUMMER25". $50 off orders $129+ via coupon code "SUMMER50". $100 off orders $219+ via coupon code "SUMMER100". -Limit one coupon code per purchase. - Not valid on glasses w/ progressive or bifocal lenses. New Customer Offer! Glasses USA offers 50% Off your first frame purchase via coupon code "welcome50". Excludes Frames on sale and also Ray Ban & Oakley Frames. How it works: When users click through the link, new customers will be brought to a sign-up page where they must enter their email address, and the coupon code will be emailed to them within a few hours of signing up. Glasses USA offers 60% Off on All Basic Frames + Free Shipping, via coupon code "bens60t". Plus, get 50% Off on Lenses Upgrades +Free Shipping on all Designer Frames, via coupon code "LENSES50". including upgraded lens packages, sunglass options, light-adjusting lenses, multifocal lenses, etc. Marked down frames (clearance) and Premium tagged frames are excluded. GlassesUSA.com is the leading prescription eyewear provider with over 1,000 stylish designer frames and high quality prescription lenses. Save up to 70% off retail prices, and enjoy our risk-free online shopping experience! Glasses USA offers a 55% Off on All Frames + Free Shipping via coupon code "DEALMOON55". Plus, get a 70% Off on Lenses Upgrades +Free Shipping on all Designer Frames via coupon code "LENSES70", including upgraded lens packages, sunglass options, light-adjusting lenses, multifocal lenses, etc. Offer expires 11/15 11:59 PM PT. 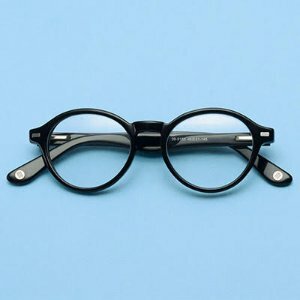 Glasses USA offers Up to 60% off Sale Glasses. Plus, get an extra $25 off $79+, $50 off $129+, or $100 off $219+, via code "FALL25". Glasses USA offers Extra 50% Off Sitewide via coupon code "LENSES50". Glasses USA offers 55% Off New Arrivals Sale for Limited time only via coupon code "Moon". 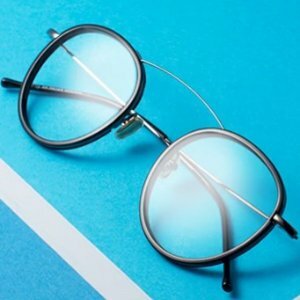 Glasses USA offers free premium lenses on all premium tagged frames via coupon code "moon". Discount only applies to frames with premium labled and should choose the premium lenses package.Choose use as "distance/single version" or "near vision"
Extra 50% Off Sitewide via coupon code "GLASSES50FS"+Free Lenses. Also Presidents Day Sale, all for $44+Free Lenses. Glasses USA offers 50% Off Your Second Pair via coupon code "vday50". Glasses USA offers 55% Off Select Items via coupon code "NEW55". 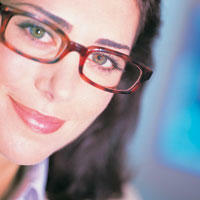 GlassesUSA offers 55% off all eyeglass frames with basic lenses via coupon code BIG55. 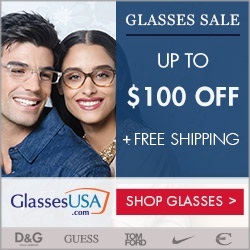 Glasses USA offers Up to $100 Off on Glasses, Eyeglasses, Prescription Glasses, Sunglasses. $25 Off on orders over $79 via coupon code "THANKS25"
$50 Off on orders over $129 via coupon code "THANKS50"
$100 Off on orders over $219 via coupon code "THANKS100"
Note: Progressive glasses, Bifocal glasses and marked down frames are not eligible for this offer. 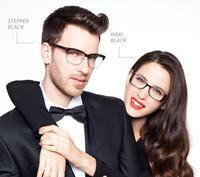 GlassesUSA offers 50% off all eyeglass frames with basic lenses via coupon code GLASSES50FS. 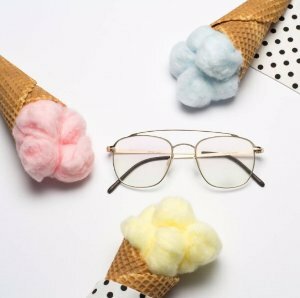 GlassesUSA offers 30% off the ENTIRE order via coupon code DEALMOON30. Free shipping on all orders..
GlassesUSA offers 50% off all eyeglass frames with basic lenses via coupon code HOT50.